Quiet offices and workshops arranged over two floors, some looking over peaceful woodland. Each unit varies in size; the ground floor workshops have their own entrance, whilst the first floor offices are suitable for smaller companies. The property is near to an array of local shops and within walking distance of Potters Bar rail station which offers direct services to London Kings Cross and Moorgate. Flexible spaces available on flexible terms. Our newly fitted and well-equipped business centre combines cutting-edge design with the latest high-tech infrastructure in a fantastic location. 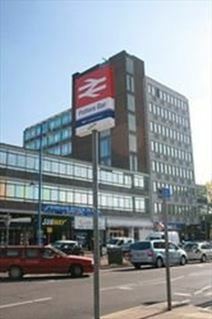 Sitting right by Potters Bar railway station, with frequent trains into King's Cross, the centre benefits from the many shops, banks, cafés and restaurants that are very close-by. A stunning, ultra-modern tower offering quality serviced offices with outstanding facilities including reception and secretarial support plus use of kitchen and parking. Right on Potters Bar High Street, the property is blessed with ideal proximity to shops, restaurants and bars and transport hubs.